Сертификация EN 55022, EN 50412, EN 60950. 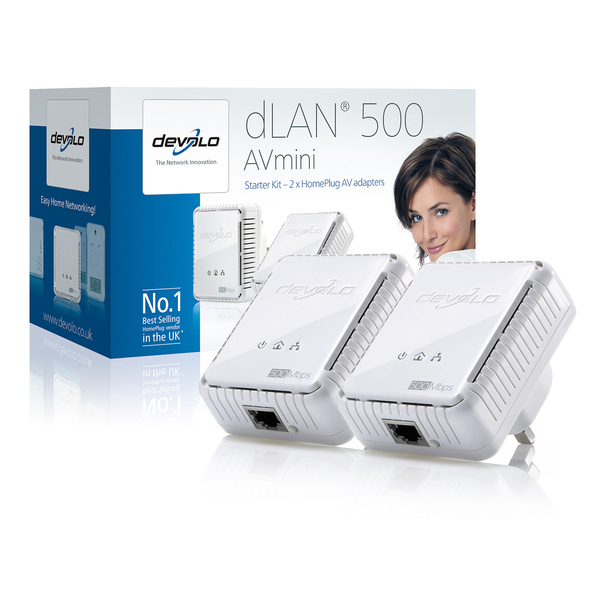 HD entertainment and fast home network in one: with speeds of 500 Mbps, the devolo dLAN® 500 AV mini is powerful enough to transmit even 3D movies to every room of your home. Without routing cables or WLAN picture stutter - simply over the electrical wiring. 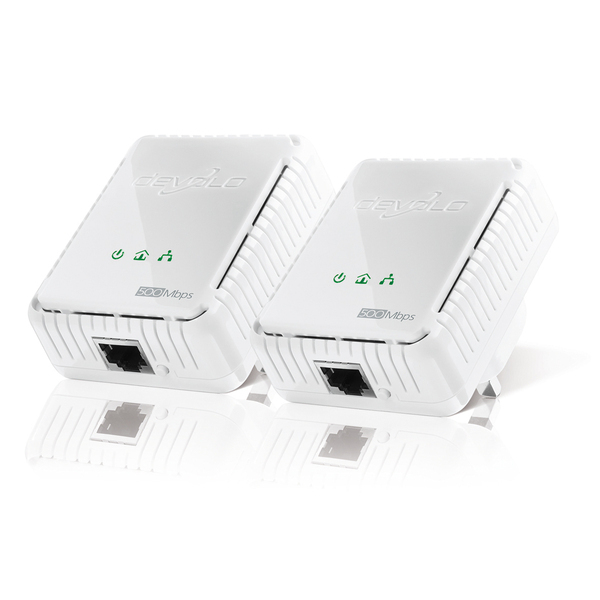 Connect computers, laptops, game consoles as well as Internet TVs and hard drive recorders to each other and to the Internet. 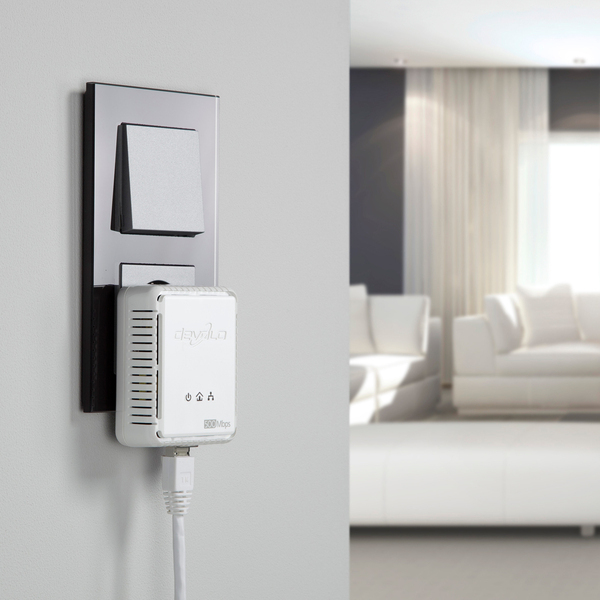 The first powerline adapter of the latest generation is fully compatible with all 200 AV adapters, is extremely energy saving and, thanks to its flat, inconspicuous design, can be positioned anywhere.